Let’s focus on the plant itself. The fact is that marijuana, when ingested orally, has absolutely no harmful effect on the body or any deleterious effects to the health of the individual. It is completely false, as many believe, that it “kills brain cells.” To the contrary, it actually protects brain cells from dying! Yes, there are some psychological addictive properties but they are very weak ( compared to tobacco, alcohol or cocaine use, for example). When smoked it has some deleterious effect due to its tar content as well as the presence of about 15 very weak carcinogens. For comparison, tobacco smoke contains over 2000 carcinogens (some of them extremely strong, like benzene) and a significantly higher amount of tar. for a prolonged period of time on a consistent basis quits the substance, there is a short period of increased anxiety, and a craving to ingest or smoke it again. This usually does not last more than three days. Furthermore, there are no physiological signs of abstinence. The only known draw back of ingesting cannabis is that it usually makes people less active and it diminishes short term memory, to some extent. Although this effect is not consistent across all individuals. Some may be more active and more creative, whereas others may be less active and morelethargic. 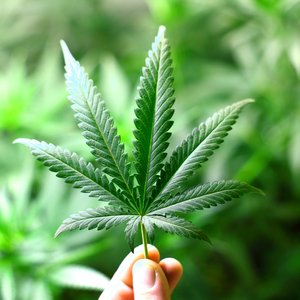 The reason for marijuana’s medicinal benefits is its two main active ingredients (although current research is discovering a much longer list of beneficial actives). The two active compounds are delta 9 tetrahydrocannabinol (i.e. THC) and cannabidiol. These compounds bind to our naturally occurring cannabinol receptors in our central nervous system as well as immune system. The reason that we have receptors in our bodies for cannabinoid-like substances is probably because of millions of years of evolutionary cohabitation between humans and cannabis (this is at least one theory). There is also a naturally occurring cannabinoid-like substance (although again more and more are being discovered) in our bodies (mainly the nervous system and the immune system) that binds to these receptors. Its name is Anandamide. The receptors to which these substances bind are called CB1 and CB2 receptors (abbreviation of cannabinoid receptors 1 and 2). In my next blog on the subject I will discuss the interaction between these receptors and the two main active compounds in Medical Marijuana. Stay tuned.